My buddy and I are fly anglers; we have been coming to the Salmon River for the past five years, and we’ve had awful luck. On year two, we booked a guide, and had a terrible experience. We did not get the person we thought we were booking with; camped out the entire day in the upper fly zone, and hammered the same run all day. So, we were skeptical when we decided to give a guide another try. After doing some research, I gave Paul a call, and after getting off the phone, I was optimistic that this was going to be a much better experience. I’m happy to say it was, and that Paul is a superb guide. We fished with Paul on November 22, 2013. He is a friendly, relaxed, and professional fishing guide. 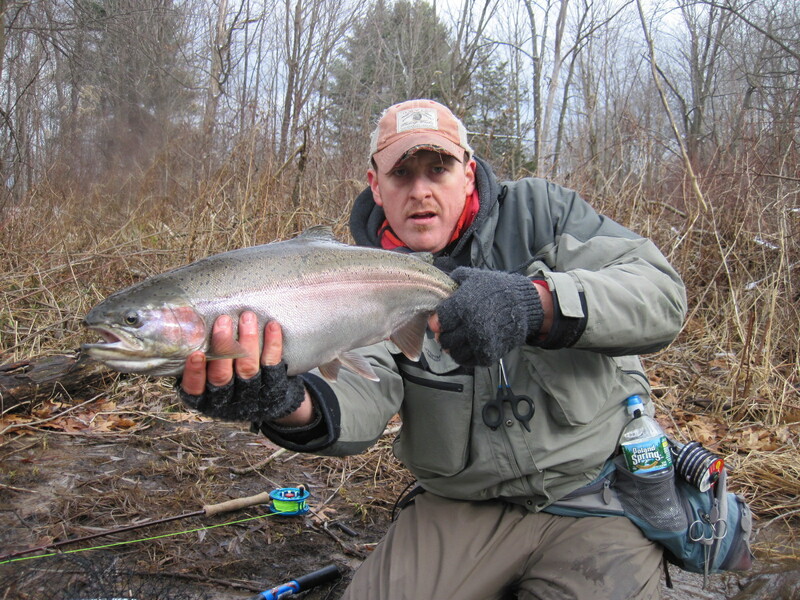 His knowledge of fly fishing for steelhead, and of the river, is incredibly impressive. His gear, flies, and equipment are all excellent. He brought along some switch rods that were strung up Skagit style, showed us some spey techniques, and we played around with them for a bit, which was fun; Paul is also an expert spey fisherman. However, what struck me most was how hard Paul works; he is absolutely determined to get you into fish. After five years of steelhead despair, we finally got it done. This would not have been possible without Paul, and I would not hesitate to use him again, or to recommend him to anybody making a trip up to the Salmon River.